A bald-headed doctor is taking a patient’s pulse. Doctors shaved their heads because medicine were originally administered by Buddhist priests. 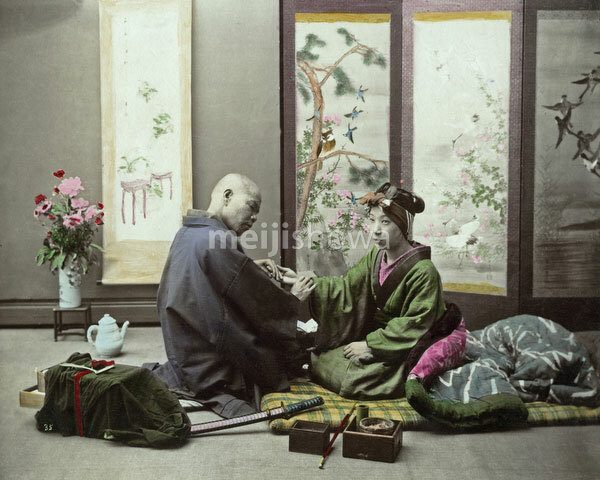 His young female patient sits on a futon. In front are a box and a kiseru pipe.